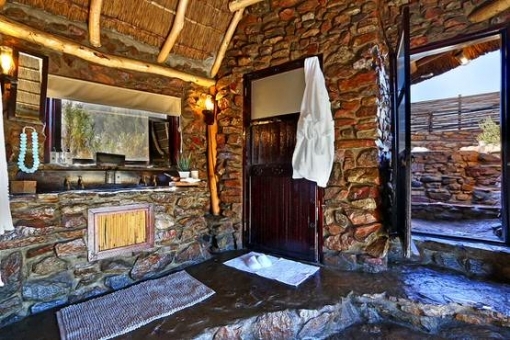 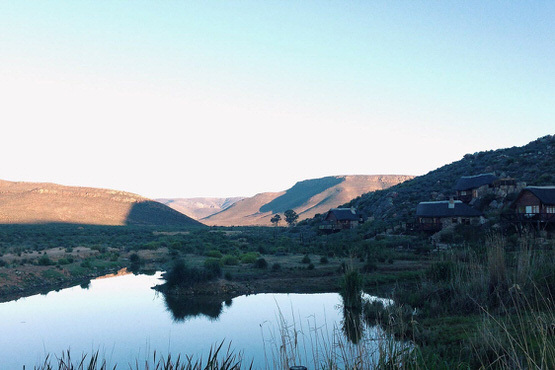 The Premier Cottages are positioned on the hillside to offer privacy and have been built in harmony with the rock, which is a principle focal point in the large bathrooms and alfresco showers. 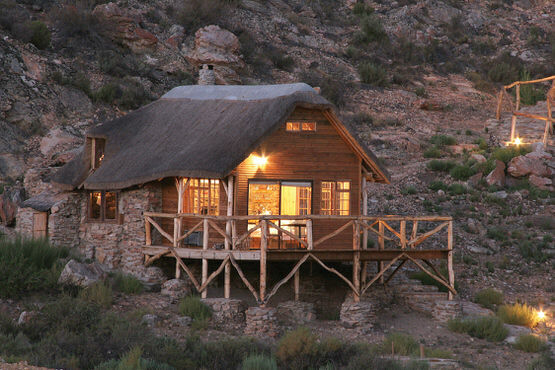 They are constructed from wood, stone and thatch and feature fans, air conditioners and fireplaces. 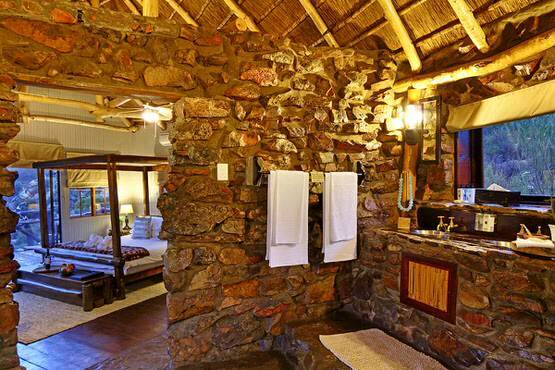 Each en-suite bathroom is unique, with twin hand basins, bath and toilet. 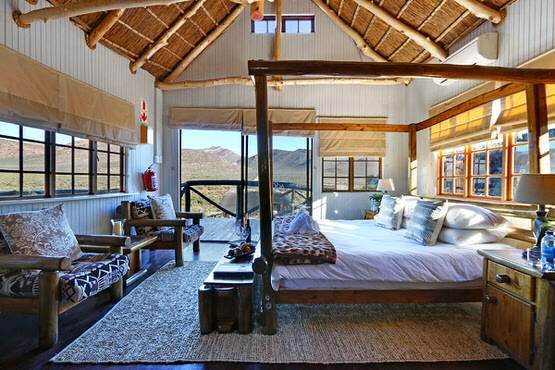 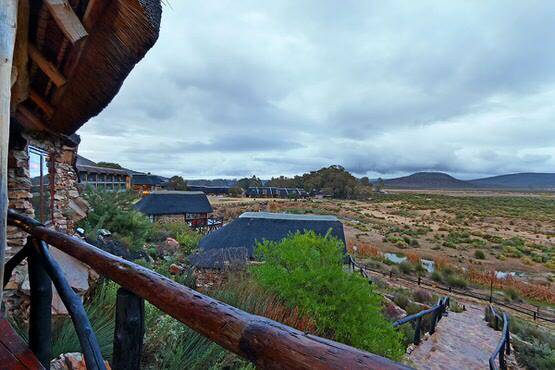 The cottages offer a wooden deck with panoramic views across the expanse of the reserve. 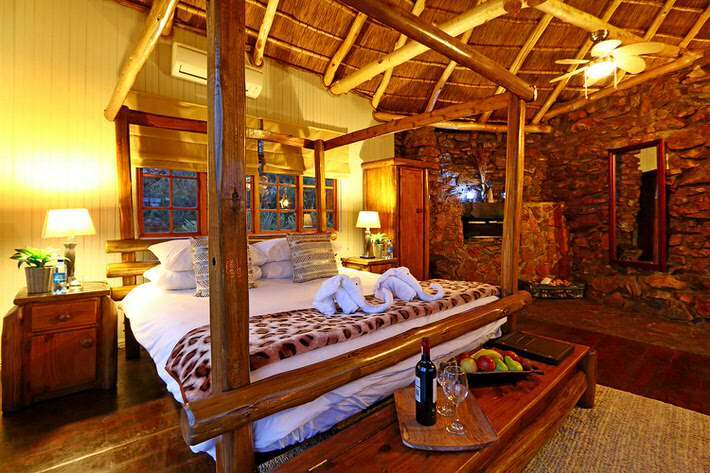 The Honeymoon Suite (the jewel in Aquila’s crown) boasts a private alfresco Jacuzzi.